It’s draft time! Well, it was draft time a week ago, and I presume all of you are well aware where the various cogs in Stardom’s wheels ended up, but I’m going to write about it anyway. It’s what I do. Not all I do, though. I have some other hobbies… maybe. Shut up, Stuart, and get on with it. 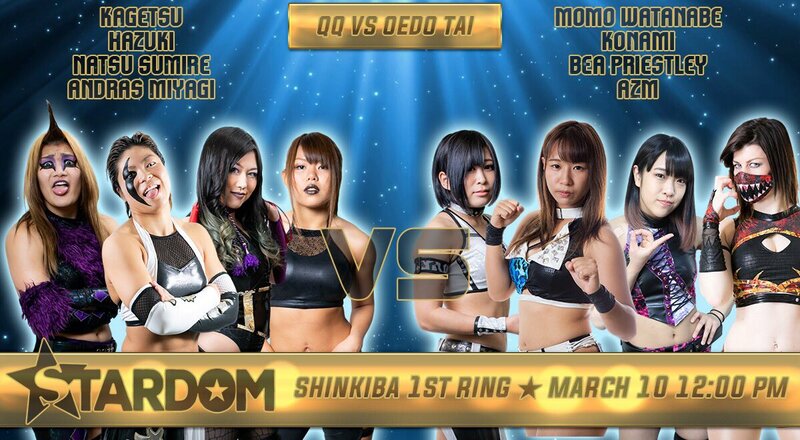 Towards the end of February, the Stardom roster made their way to Osaka where they were doing one of their two show days. This was the first one, so if they had all decided to take it easy, well, to be honest, I wouldn’t have blamed them. History suggested that wasn’t likely, though.